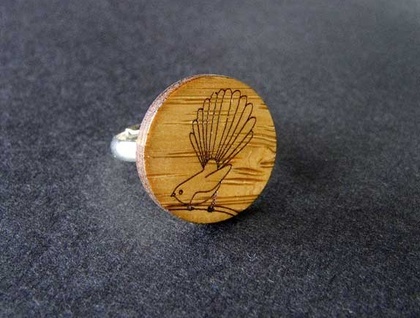 The Fantail/Piwakawaka is laser engraved into a 3mm thick bamboo plywood and varnished. The bamboo piece has a 20mm circumference. 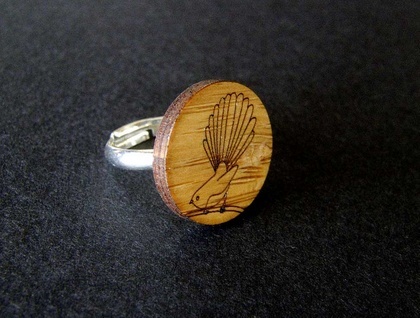 The ring is silver plated and adjustable.